DK2 compatible with a GTX 980M ? 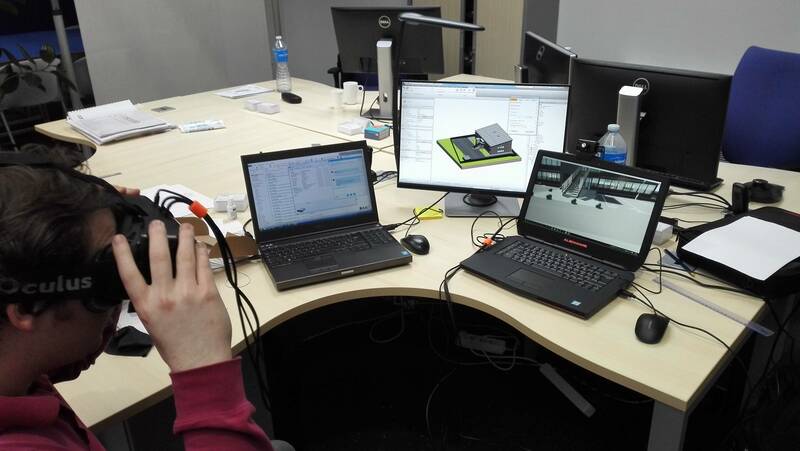 We got at work our new "3D / VR Laptop" and I'm trying to get the DK2 to work on it. It's an Alienware 15R2 with a GTX 980M. This is not a post about CV1 compatibility, but for the DK2. Before this computer, I had a Dell M4800 with a K2000M, so quite a bad GPU however the DK2 was recognized and I could launch the demo, albeit being at 2fps. But it did work. I'm having problems with the new Alienware, I don't know if it's coming from Windows 10, or the GPU. I'm searching on internet, but can't find something that has fixed my issue. I'm currently updating the graphics card, and have installed the runtime twice, rebooted plenty of times. I'm not sure if the HDMI output is a dedicated one. We already told you no on Reddit. I updated the GPU Driver, and everything works http://i.imgur.com/LgYQYAT.jpg sorry for bothering. Nobbs66 seems you rush in your way to talk and you talk without actually knowing things. Paddy32810 yes it works perfectly.......my dk2 works perfectly on my alienware 15R2 with 970m. I'm on a AW15r1 and the Oculus does not work, it would seem they have made a change to the output connections between R1 and R2 to allow direct GPU access.